I'm 30, college educated, and working a common job that gives me plenty of time to do what I love --- crochet! I totally see some flowers like this in my immediate future! Thank you for accepting my apology and for letting my "edited post" be allowed. I was out of line, but I won't let it happen again. What about crochet being only created by hand, not by machine? Personally, this simple fact makes me believe it is of a higher art form. With replications being made of famous paintings and such, there are no such thing as "crochet prints" --- there is no way to replicate an item EXACTLY. - "I thrive on chain reactions!" - "Y-A-R-N" I'm singing "Y-A-R-N"
Amen! It is wonderful to know that there are others out there who do respect and understand the hard work and journey we take in crochet, especially when publically displaying patterns for free use. Has anyone worked the "Optical Illusion" blanket? Is this using tapestry crochet? I sure wish the directions for hyperbolyic crochet were easier. The book makes it all mathematical, which makes me sad. I enjoy doing crochet because of the LACK OF MATH! Haha!!! My Yarn Puzzle! edited with new pic! Look what I did!. All I can say is W-O-W!!! Holy cow! How is that done??? Which is faster crocheting loosely or tightly? I just attempt to crochet as consistently as possible. I rarely crochet super tight, however I've been told that my tension is tighter than others. For me, consistency is the most important aspect --- bigger hooks or smaller hooks, just make the stitches look the same throughout. How long do you wait for payment & delivery? I would send her a message on Facebook telling her that she has 7 days to pay for the item or the item would be sold/ donated. I hate that this happened to you, but the blanket you made will be a true blessing to someone who DESERVES IT! The minimum I require up front on stuff made for profit is that all of my yarn be bought at their expense before the item is started. They are updated on the project's progress along the way (if requested) and payment is due in full upon receiving the item. I charge more for rush or more complicated items. All estimates and designs are determined upfront, including the type of yarn and pricing. Logo items also cost more, depending on how much design work I have to put into it. 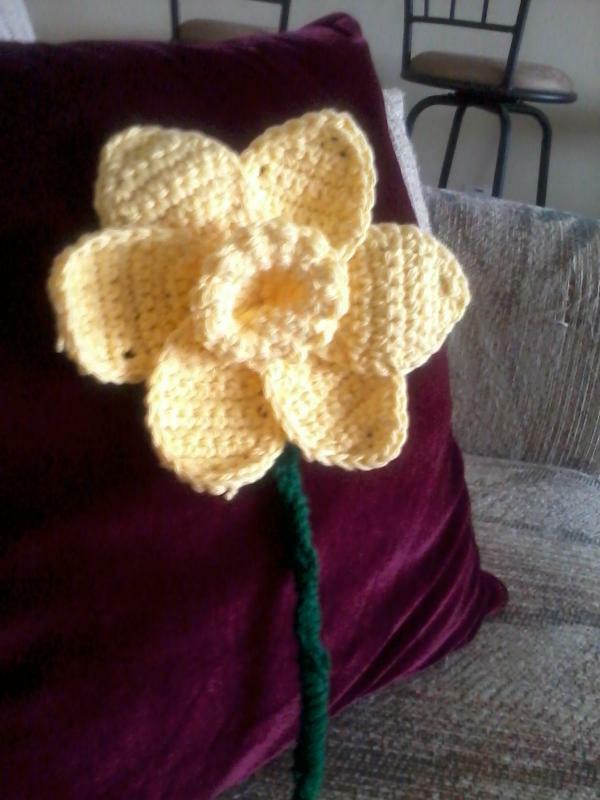 I would rather crochet for charity, so I often make items if the person will buy me TWICE THE AMOUNT OF YARN NEEDED FOR THEIR PROJECT --- then I can make one for them and make one to donate to charity. I would almost rather have people buy me yarn in exchange for me making them something than for them to pay me money. My heart is in the charity work and I make that very clear from the get go!